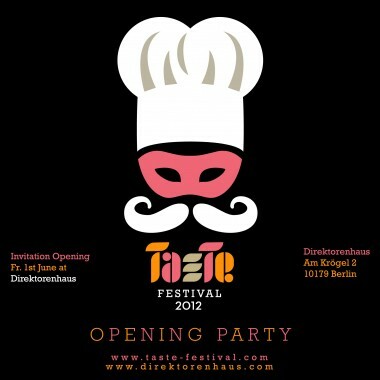 The first Taste Festival, a culinary design festival will be presented in Berlin. Taste Festival will connect the sensual world of food to visionary ideas of design. Around 70 food designers, product designers, choreographers, artists, producers and cooks will gather at Direktorenhaus in Berlin-Mitte to inspire each other and the visitors by exhibitions, workshops, eat-art-performances and tastings. This event features an exclusive exhibition and shows works from 50 internationally recognised designers and artists in addition to hosting food events, mini-markets, presentations and parties. Taste displays not only the quality and fantasy of the latest New Food Culture but also shows how the visual effects of graphic design, illustration, performance and architecture spill into and influence the field of food and design.